Sheryl is excited to be one of first LPGA professionals to offer this comprehensive “Welcome to Golf” 6 hour program! If you are a new or a relatively new female golfer and don’t want to be left behind when you family or coworkers head to the course, then take your first step in your journey to learn, play and ENJOY the game of golf. 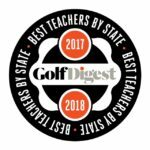 You will learn golf terminology, etiquette pertaining to various parts of the game, equipment overview, foundational golf skills and most importantly you will be equipped with the confidence required to get on the course. You will be given handouts for each session and will have the opportunity to go on the course for instruction during the final session! Cost: per Session This Class fills quickly, grab a friend and sign up Today! Each of the following sessions consist of 6 hours of instruction plus a free pass for 9 holes to use at a later date! Looking to refresh or improve your fundamentals? This class is for you~ Regardless of your skill level, this class will focus on improving your putting, chipping, pitching and full swing in a FUN safe environment. Basic rules, etiquette and equipment will be covered. Lessons are geared for adults 16 and older and will meet for (4) 1 hour sessions. Must register & pay through the City of Lakeville. First session meets on the Patio. Looking for a spring tune up? Get your game in gear with this fast paced 90 minute hands on Full Swing Training Session! We will focus on the proper fundamentals of a good impact position plus understanding cause & affect in your golf swing. We will start with small swings and work our way up to bigger swings with the driver! You will learn effective ways to practice with purpose while using fun games, drills & various training aids if needed. These sessions are a wonderful time of discovery, practicing and training and a great compliment to lessons. This popular session sold out every week last season~ Pre-registration required! Pay at the clinic~ either cash or check payable to Sheryl Maize. Need to get the rust off your short game? This 90 minute Training Session will help you get your touch and shot making skills dialed in around the greens. It will be a time of learning & practicing the proper mechanics for putting, chipping & pitching plus ways to train and practice. Training aids will be used to help instill confidence. Notes are available! These sessions are a great compliment to lessons. Pre-registration required as groups fill up quickly! Pay at the clinic ~ either cash or check payable to Sheryl Maize. This special package is designed specifically for the new golfer! It includes a (1) hour introductory private lesson plus (2) 1/2 hour follow up lessons. We will cover basic short game & full swing fundamentals plus equipment, basic terminology & golf course etiquette. This package will increase your knowledge and comfort level. Clubs will be provided if needed. Hand outs will also be given. This package is designed for those who have golf experience~ whether you are a current player or are coming back to the game after a lay off, this package is designed to work on what you need most. We start with a (1) hour private lesson to assess your game followed by (3) 1/2 hour follow up lessons. Video analysis is included with optional notes! FREE App~ After going through Dr. Rick Jensen’s Mastering the Mental Game Course this winter, I know his FREE app will help identify practical ways to help you improve the mental and emotional aspect of your game! Students are encouraged to download Dr. Rick Jensen’s Coaching Golf’s Mental Skills FREE app for your iPhone or iPad. After taking a short Player Assessment click “Send to Coach” and fill in my email address: Amaizing68@hotmail.com You will receive a brief outline of your tendencies under pressure and I will receive and in depth report with ways to help you “Master the Mental Game”! Want to learn how to play golf better? Then it’s time to take your training to where the game is played~ on the golf course! This on-course coaching session will help sharpen your decision-making skills as we experience various shots on the course. Approach angles, percentage shots, and awareness exercises will be discussed. We will also identify ways to help improve your mental and emotional self-management skills on the course. This session often really identifies where your ball control skills are and what really needs work~ Nothing like adding the “pressure” of being on the course! These sessions are a great compliment to lessons. Pre-registration is required as sessions fill up quickly. Pay at the clinic~ Cash or Check payable to Sheryl Maize. Step #1: Click on the Date below to Reserve your spot today: Schedule coming Soon! 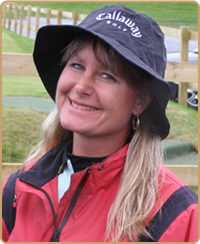 Sheryl was one of the first in the country to attain a TPI certification as a Level 2 Certified Coach. She is excited to offer programs for committed students which incorporate a more specialized “Coaching” philosophy which has proven to be highly effective at bringing about the changes golfers are looking for! If you have been frustrated by your progress or can’t seem to take your game to the course, then a Coaching Program is for you! The coaching techniques come from International Junior Golf Expert Henry Brunton and Sports Psychologist Dr. Rick Jensen who has outlined the 12 Tour-Tested Truths you must know (and apply) to finally play to your potential on the golf course in his book, Easier Said than Done. Coaching Programs start with skills assessments and appropriate goal setting~ As your Coach, Sheryl will assess your strengths & weaknesses and then design a program focusing on the three essential skills needed to lower your scores: Ball-Control, Decision-Making & Self-Management. During private lessons/coaching sessions you will learn WHY your ball does what it does~Cause & Effect. Then in small group practice/training sessions you will learn HOW to fix your weaknesses by engaging in transfer training that will lead to better results on the course! On-Course Coaching is another important element that differentiates Coaching from taking your standard golf lesson. Supervised Practice/Training Sessions ~ These small group training sessions are not lessons, but rather time to develop proper practice habits, work on drills under the watchful eye of your coach and to work on techniques to transfer your skills to the course! These sessions are a wonderful time of discovery, practicing and training. All prices include practice balls, access to training aids & greens fees if applicable. As a certified TPI (Titleist Performance Institute) instructor, Sheryl incorporates golf specific stretches and exercises into the lesson program. All sessions take place on the practice range, putting green or short game area! Bring your clubs or if clubs are needed, please indicate if left- or right-handed will be needed. – Limit of 8 golfers per session. Class includes a Free 9-Hole Pass! First session meets on the Patio. Adults & juniors of all ages and skill levels will not want to miss this special FREE event designed to highlight just how much fun the lifetime sport of golf can be~ especially when it’s shared with your family and friends! Parents, grandparents and kids of all ages will have a blast participating together in fun golf games on the putting green, trying SNAG Golf, hitting shots at a giant Pink Hippo and the 40 foot tall GolfZilla inflatables on the driving range. There will also be a fitness station set up where parents and juniors can experience fun TPI motor skill drills and competitions. Kids are encouraged to bring their clubs, but we will have US Kids golf clubs available to demo and explain how they will benefit your junior golfer. There will be fun prizes and give aways too! If you ever wondered~ How do you play Tic Tac Toe in golf? Or what is Cow Pasture Pool? This day will highlight a sampling of these fun games plus more of what junior golfers experience during Sheryl’s various Amaizing Youth Golf Programs at Crystal Lake Golf Course. Mark your calendar and reserve your spot today for this “Can’t Miss” fun-filled Family event! Invite your family, friends & neighbors!